While we avoid much of the harsh weather associated with winter around the country, we have had plenty of rain in Southern California, and that has caused some major problems. It’s also probably led to your vehicle getting a little more dirt and wear on it than you are used to. That’s why our Riverside Mercedes-Benz dealer wanted to share some car care tips that can help keep your luxury vehicle in great shape all year round. 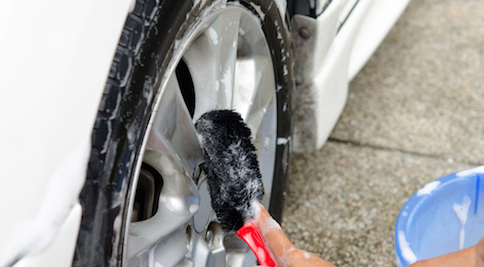 After all the rain we’ve gotten, dirt and grime are going to end up sticking to your vehicle. 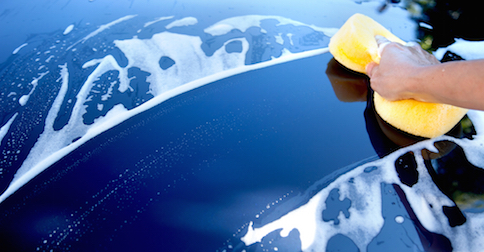 That usually means washing your vehicle, but make sure you’ve cleared your vehicle of loose contaminants before you start soaping up and washing your car to avoid scratching the top coat. Once you’ve removed any bonded elements like tree sap, insects, bird deposits, or salt from ocean air, then you can polish and treat the paint coating with Mercedes-Benz Paint Care products, which you can get from the auto parts store at our Riverside Mercedes-Benz dealer. Walter's Mercedes-Benz of Riverside also carries products specifically designed to keep the cabin of your vehicle looking new. Mercedes-Benz Interior Care removes contaminants, restores, and protects any vinyl, plastic, or rubber surfaces in your car. There’s also a leather cleaner available that will ensure that your seats stay soft and supple for years to come. You should always make sure that you vacuum your interior on a monthly basis, if not more often, to keep dirt and sand from wearing down the floor mats or ruining seats. You want those dazzling wheels to shine on your luxury vehicle and the German automaker makes a product that’s formulated to make your wheels look great and perform at their best. You’ll add that little bit of sparkle to your ride that helps set your Mercedes-Benz apart from the rest. Contact Walter's Mercedes-Benz of Riverside today if you’re interested in learning more about caring for your vehicle by giving us a call at (888) 656-5003.